Haggen agreed to sell its original stronghold of Pacific Northwest stores to Albertsons in what seems to be the final chapter of a convoluted grocery-empire saga. In a news release late Friday, the Bellingham grocer said Albertsons will acquire 29 of its so-called core stores, a group of locations in Washington and Oregon that Haggen had intended to retreat into when it became apparent its big expansion in the U.S. Southwest was doomed. A lengthy contract filed in bankruptcy court indicates Albertsons will pay a “base amount” of $106 million, subject to various adjustments. The deal requires approval from the bankruptcy court in Delaware overseeing the dismantling of Haggen’s remains. An auction previously scheduled for March 18 has been canceled, Haggen said. Albertsons bid for only 29 of Haggen’s locations. 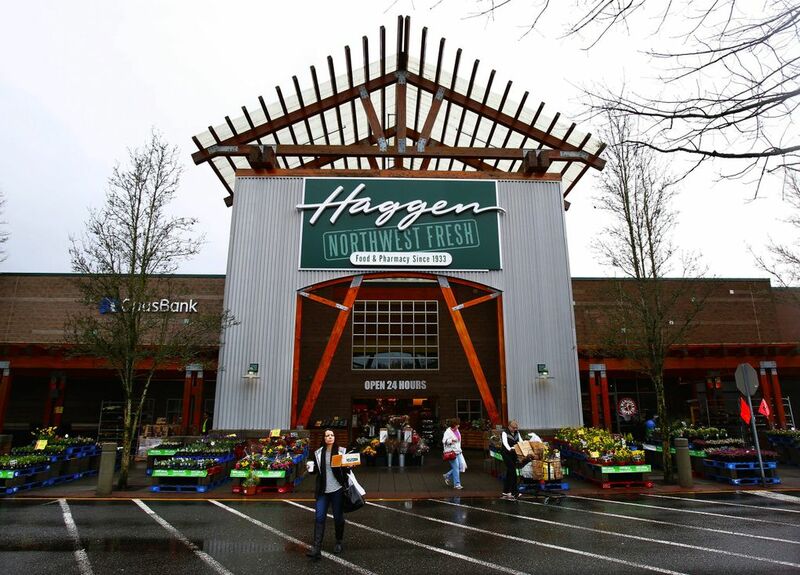 On Friday Haggen notified Washington state authorities it will be laying off 78 employees in Puyallup and 67 in Port Angeles, as these stores were not included in the deal. The Oregon City, Ore., Haggen also will be closed, provided the court gives its approval to going-out-of-business sales. The deal brings an unlikely ending to an unusually ambitious expansion that briefly led Haggen, a private equity-controlled regional grocer, to become one of the biggest supermarket chains in the West Coast. Its failure is also a black eye for the antitrust regulators that enabled Haggen to buy 146 stores from Albertsons and Safeway when these companies merged. They wanted to see a strong competitor emerge, but they got pretty much the contrary: Albertsons is far stronger after having absorbed not only Safeway, but a regional Pacific Northwest grocer that dated to 1933. Neither Albertsons nor the Federal Trade Commission immediately responded to a request for comment. Haggen said it had no comment beyond the news release. Earlier this week the FTC let it be known on its website that it approved a request by Cerberus Management, the private equity firm that controls the Idaho-based supermarket chain, to buy Haggen. “It’s best for consumers that these stores continue operating,” even if it’s under Albertsons’ brand, the FTC said. A local union representing Haggen workers, UFCW Local 367, was the first to discover the FTC’s approval of the deal, and told its members that it was a positive development. “This news will hopefully end the uncertainty of our members and our communities,” union President Denise Jagielo said in a statement.